When it comes to flying, getting where you want to go on time always seems to be an issue. Flight delays and cancellations top the list of complaints. “You keep watching your departure time go up and up and up. That is quite frustrating,” said traveler Frank Evans who had just flown into Tampa from Canada. “Sometimes they’ll cancel a flight ‘cause I don’t think they booked it full. So, they’ll just make everybody wait for the next one,” said traveler Darryl Poulsen. According to the U.S. Department of Transportation’s latest Air Travel Consumer Report, the most common cause for delays is “late arriving air-craft.” That causes a ripple effect that compounds the problem. Basically, the previous flight arrives late and, as a result, the next flight is late too. 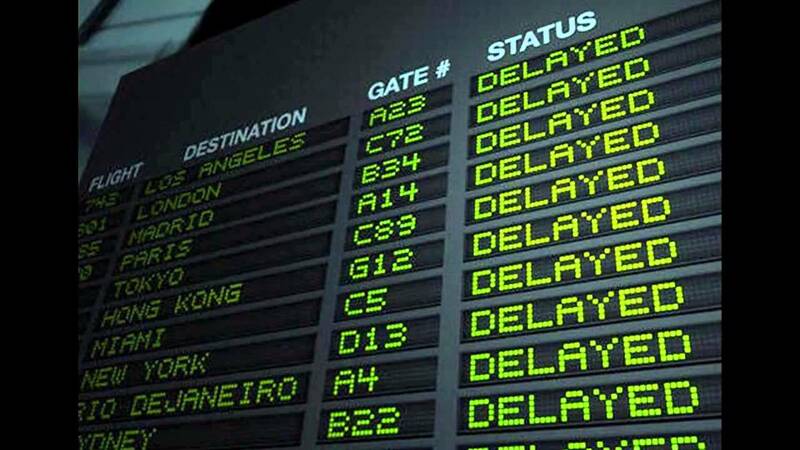 Flight delays happen for many reasons– bad weather, air traffic congestion—things beyond the airlines control; and, of course, mechanical issues—that you can’t predict. Unfortunately, you don’t have as many rights as you might think when it comes to flight delays. Airlines are not required to compensate you for flight delays or cancelations—unless you are “bumped” from a flight that is over-sold. Book your flight to leave earlier in the day, if possible. They’re less likely to be delayed than a flight later in the day—and if you are delayed or canceled—you’ll still have options to re-route. Book non-stop flights—they’re less likely to be delayed. A connection always creates the possibility of a missed flight. Don’t check in at the last minute— your bag might not make to the plane on time, even if you do. Book a non-stop flight—connections lead to more handling of your bag and create more opportunity for a problem. Also high on the list: complaints about customer service. Traveler Jackie Kurzenski and her brother Hal Blakemore got a taste of that frustration recently when their flight to Philadelphia was canceled during the recent snowstorm, which affected the Northeast. The biggest take-away: book a non-stop flight, if you can. That generally reduces the likelihood of a problem, whether it’s a lost bag or flight delay. For information on chronically delayed flights, click here. Airline Safety – Is Southwest Airlines Still the Safest? As Air Travel Costs Increase, Are the Airlines Gouging Their Customers?